I just got my most recent roll of film developed. On top of that I bought a bunch of new rolls for my spring break trip to Phoenix, AZ. Some of these turned out quite interesting, but sadly, many were too blurry or 'destroyed' looking to be used. First set is a few pictures of my beloved dogs: Elle the shih tzu, Baylee the golden retriever, and Hugo the puppy pit bull. Next, we have shots of Lane from a recent visit to our parents' and a photo shoot on Main St. of Farmer City. 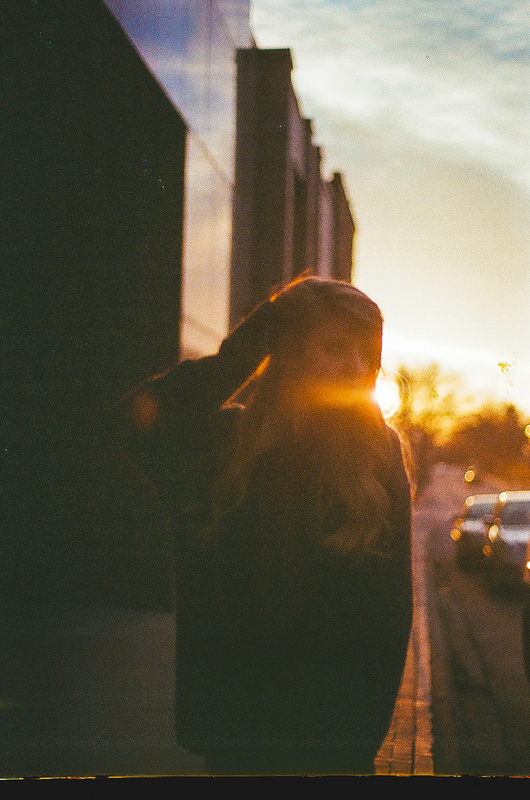 Last, I have pictures of Tori at sunset in Urbana. 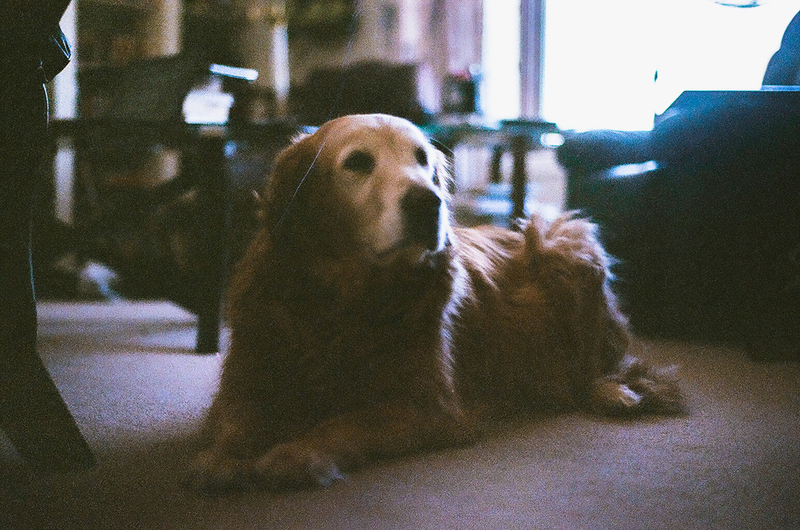 I can't figure out if the blur is caused from my horrible vision (my digital camera has auto focus), the back light throwing it off, the aged film, or a combination of those. However, the grit and grain we can see on a lot of these gives it some personality. These aren't my usual style, but I think I'm going to try to incorporate more film shots into my business.